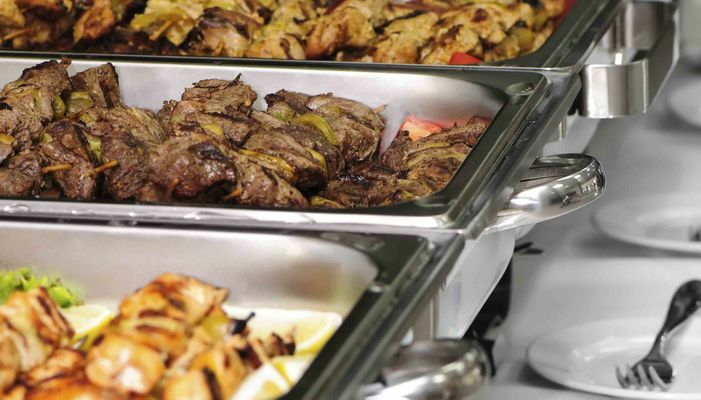 Browsing through our inventory of cooking equipment can become arduous, as we have multiple pieces of equipment to accommodate any catered event. We can accommodate both on-site and off-site applications. Here is a summary breakdown of some of the options available to you. We have grills of all sizes and types. We offer flat-tops & gas grills with lava rocks ranging from 36 inches to 72 inches. We also have charcoal grills for the barbeque enthusiast. All of our gas grills come with a propane tank. An event consultant will help you determine the right size based upon your estimated cooking time and serving output needs.